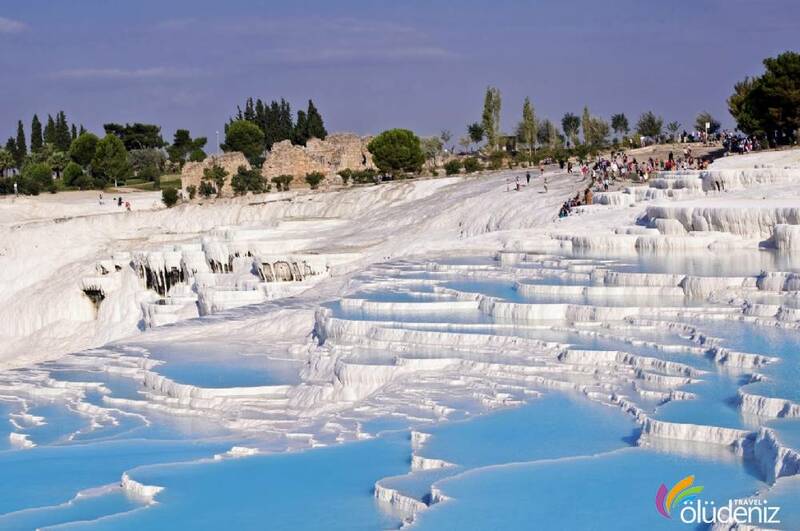 Pamukkale Tour is one of the most extensive one of the most extensive one we can advise.While we're going to Pamukkale we pass the traditional Turkish villages and have breakfast.Our trip lasts 3 hours with all stops.Pamukkale is a dreamy place that fascinates the people with its ancient city and white traventines.This unique natural miracle of milky white travertens and the golden city of Hierapolis and the ancient roman bath have become culture and tourism center moreover they have been declared as world heritage by Unesco. 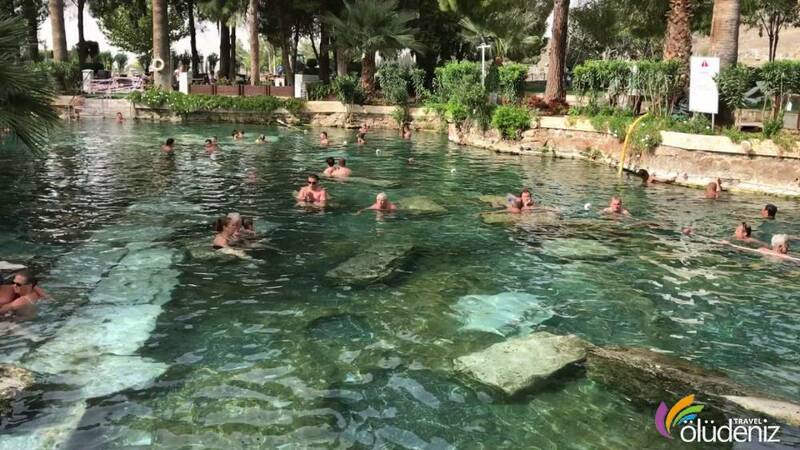 The spring with 36 degrees Celsius of hot water which contains high amount of calcium hydro carbonat has caused the formation of travertens. 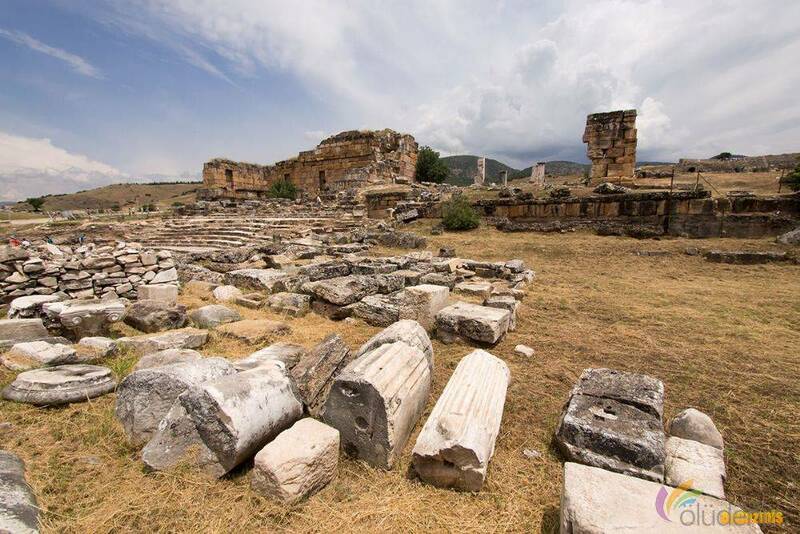 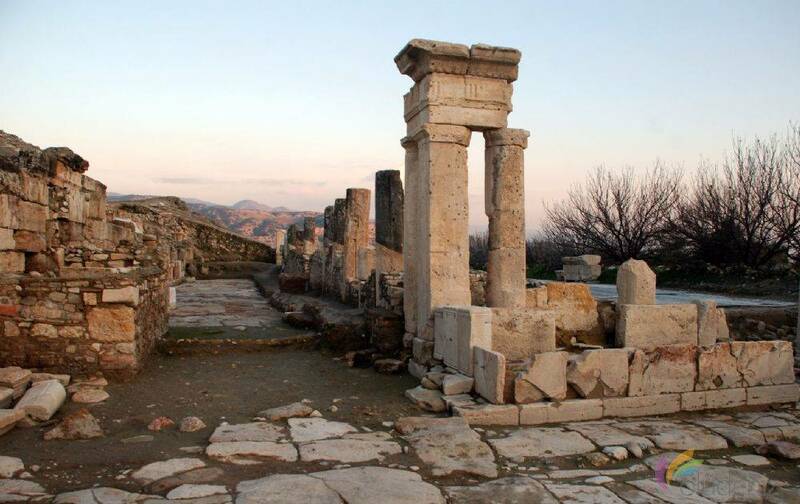 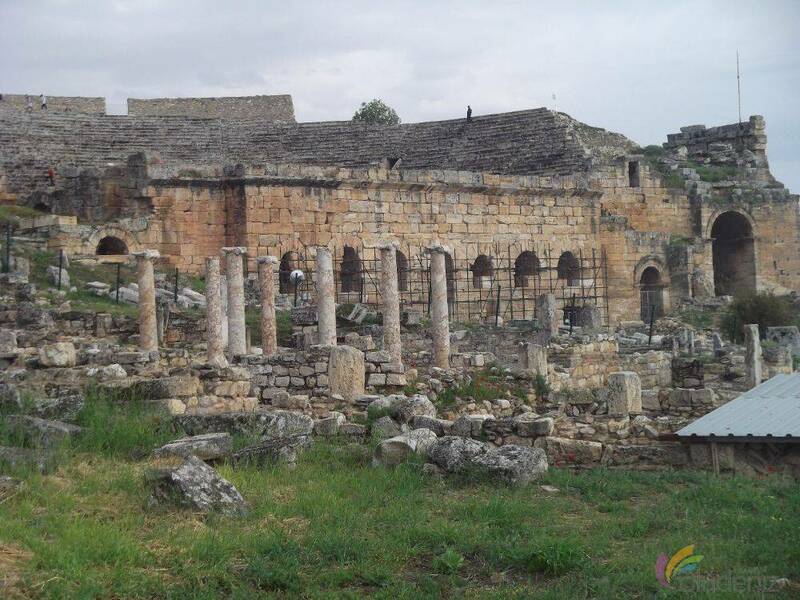 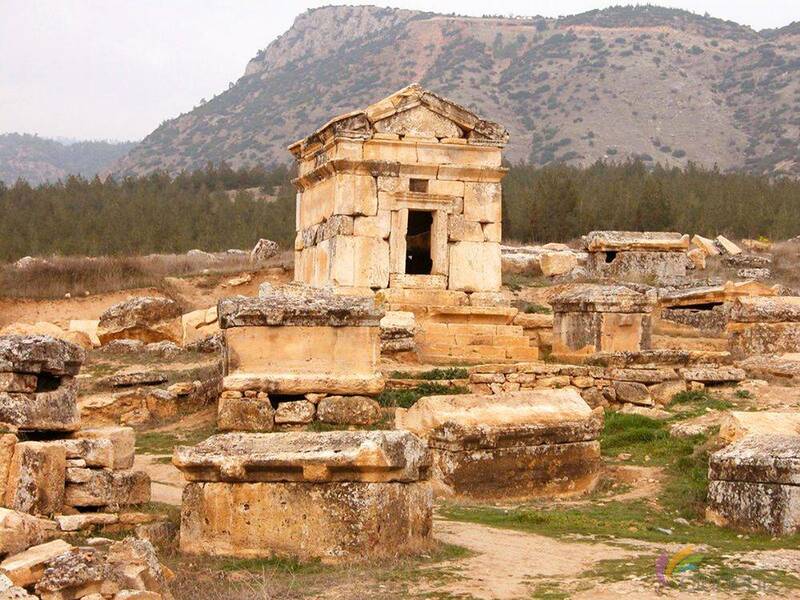 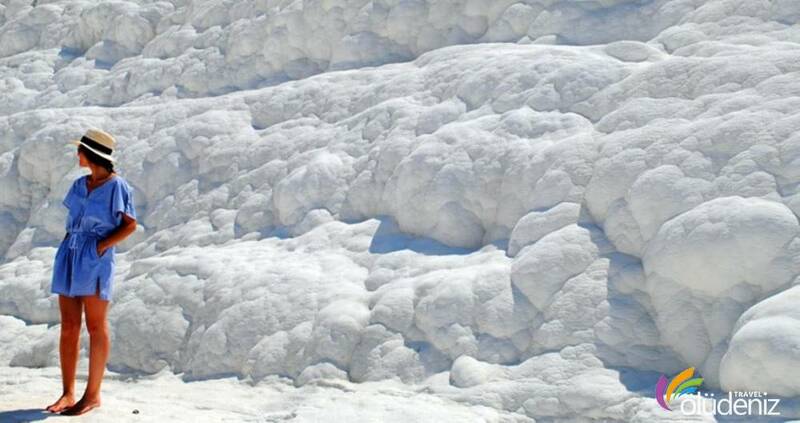 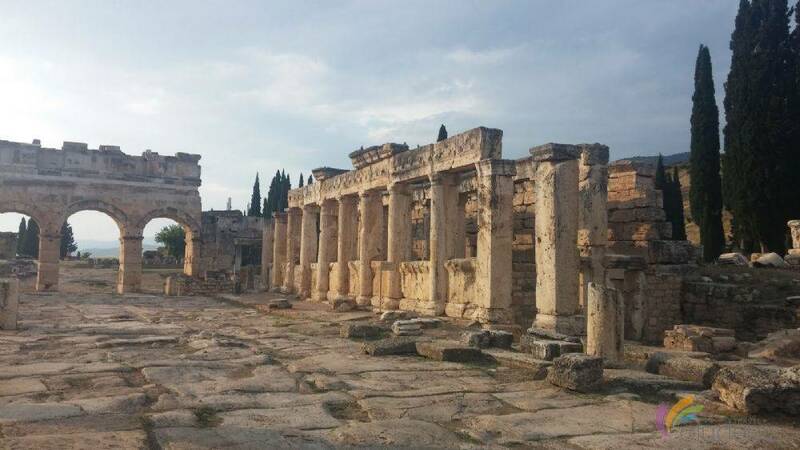 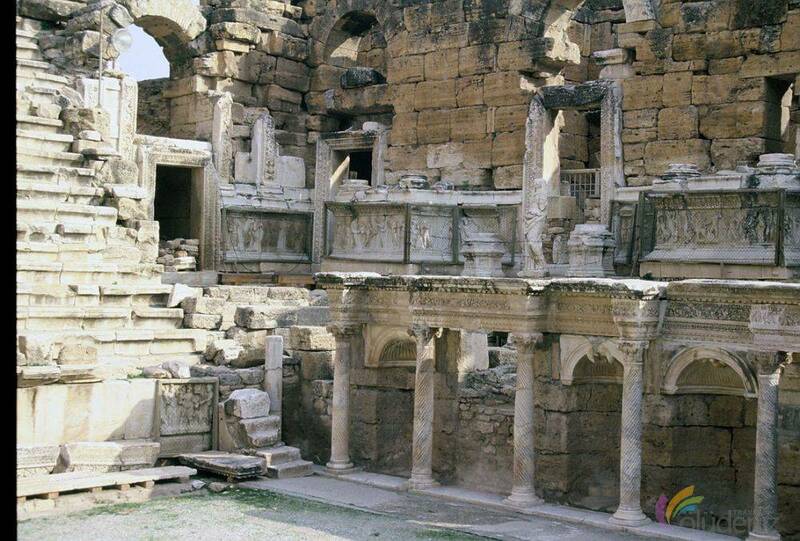 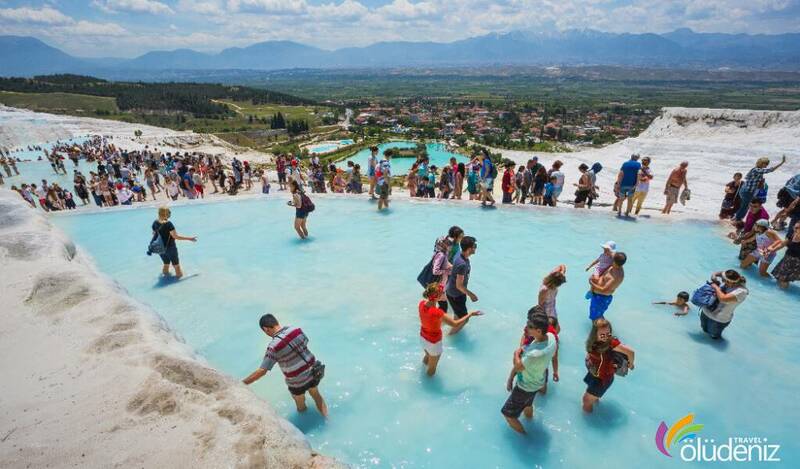 Hierapolis, with the milky white travertens, has been named as Pamukkale ( the white castle ). 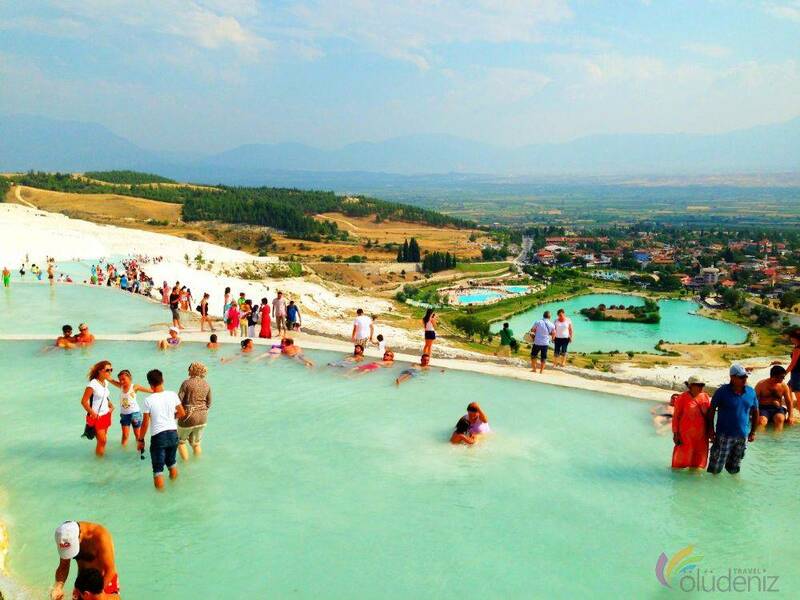 After the tour of Pamukkale and the lunch, we return. 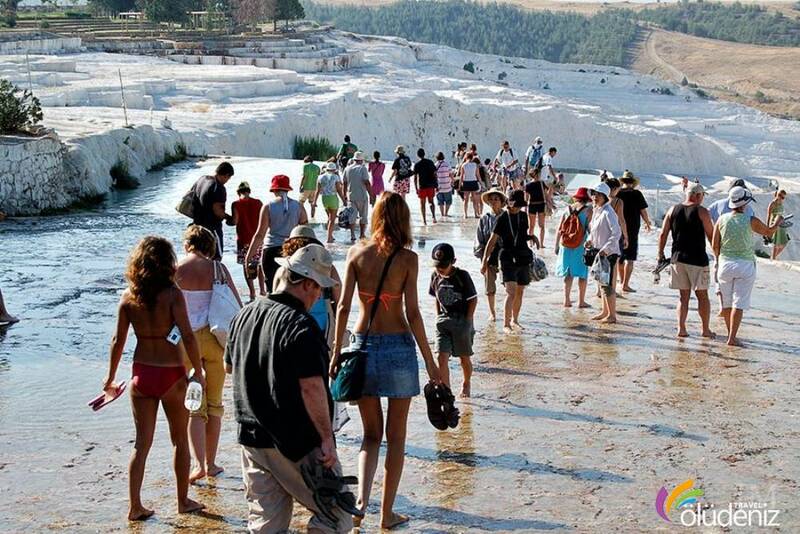 We finish the tour of Pamukkale, leave you to your hotels and say farewell to you. 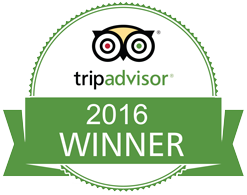 Note : You can also demand private tour for couples, families and group tours. 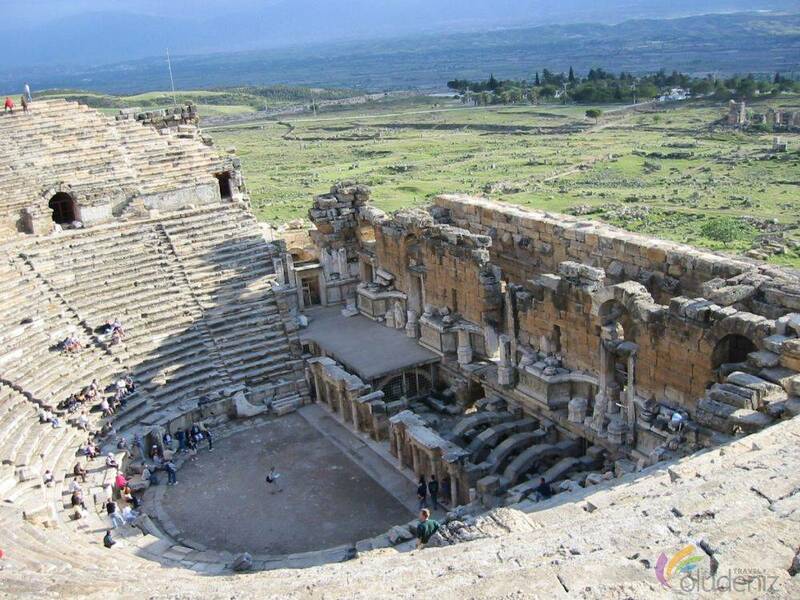 What should I take with me while going to the tour ? 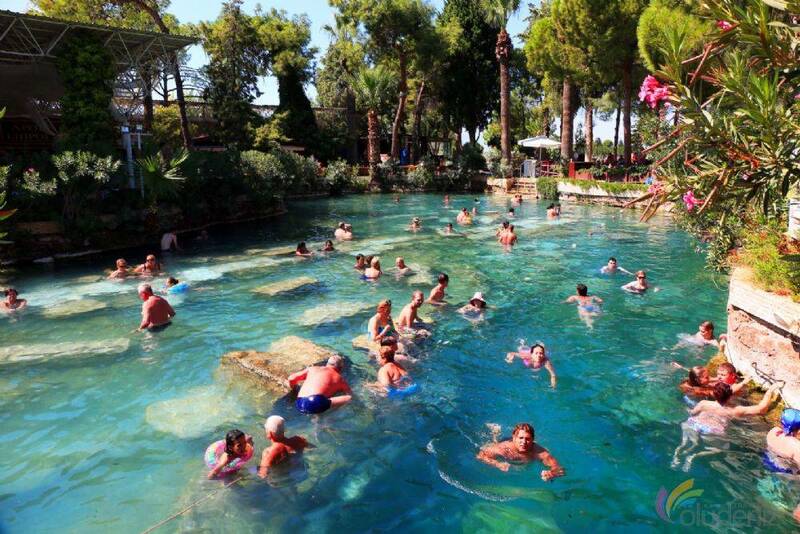 Can we swim in the travertens ? 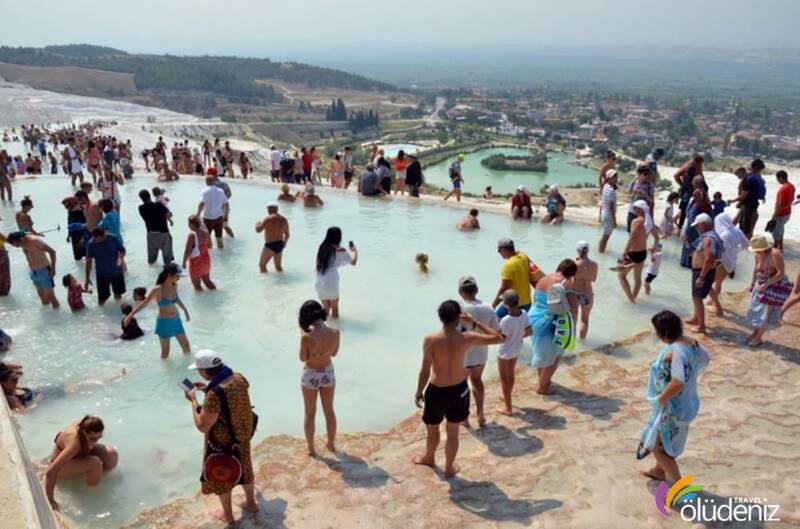 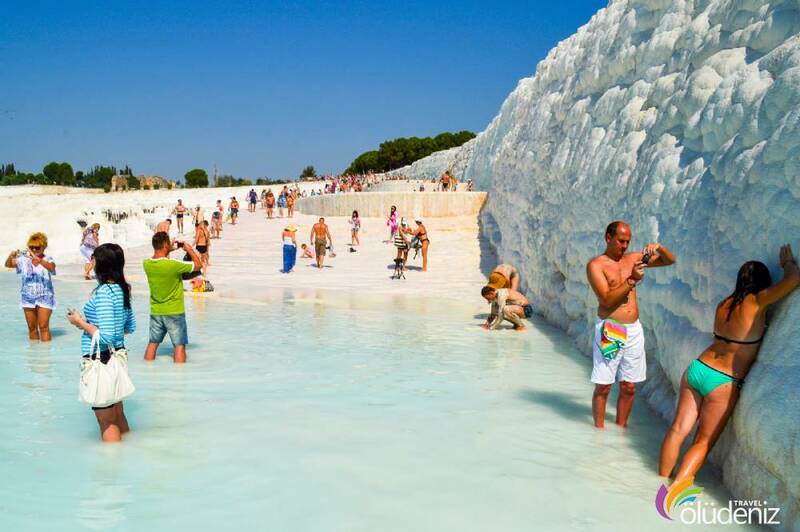 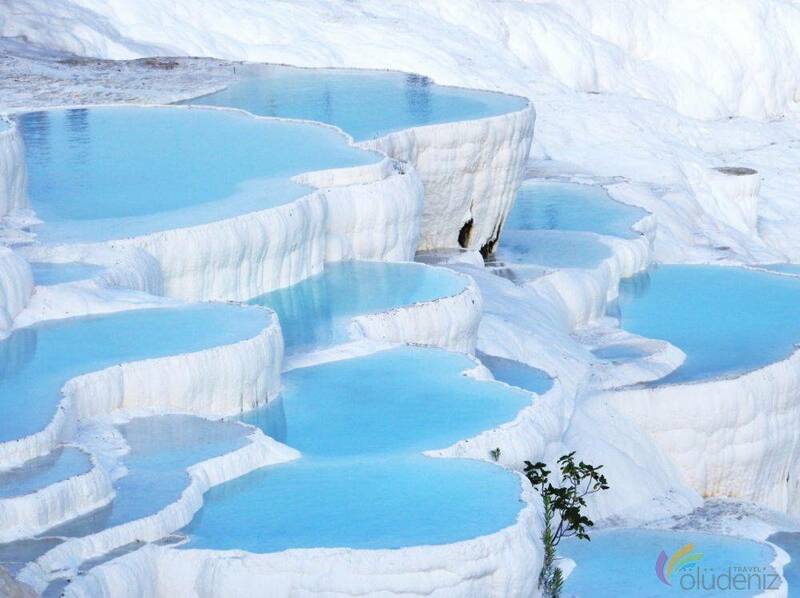 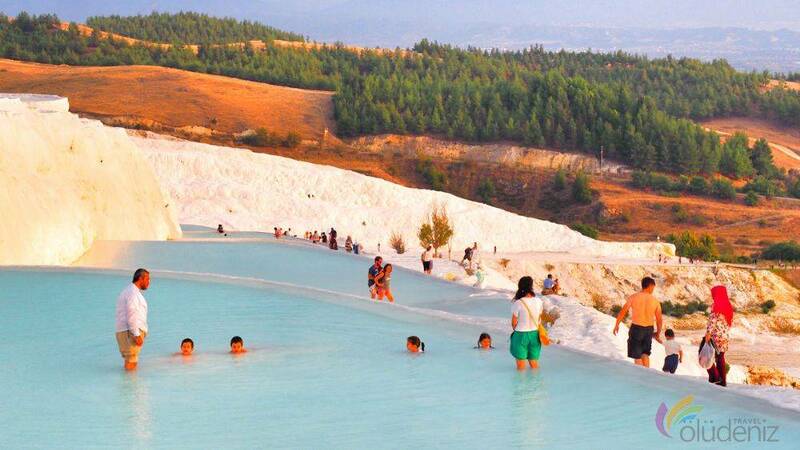 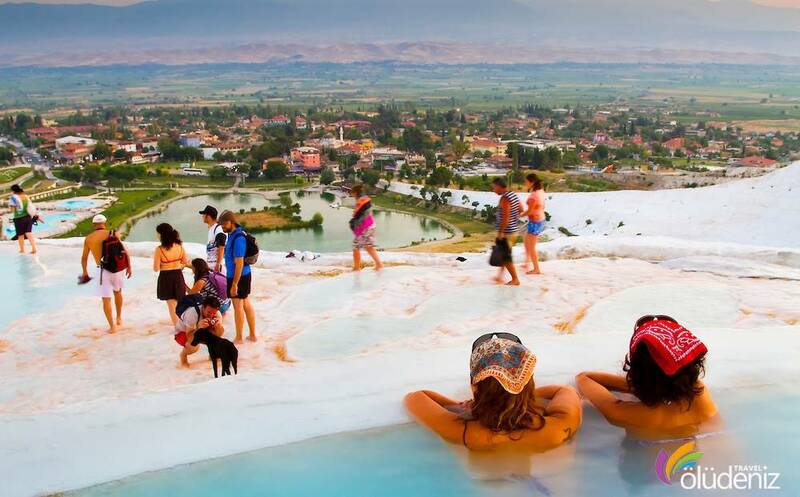 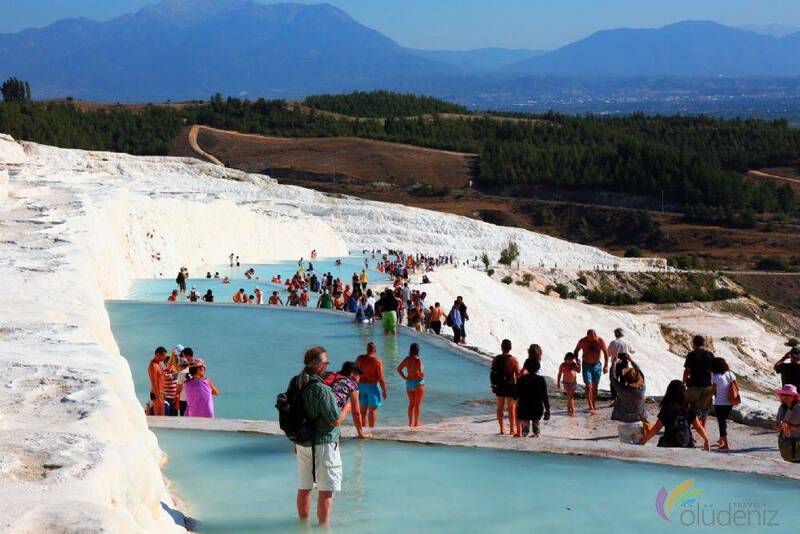 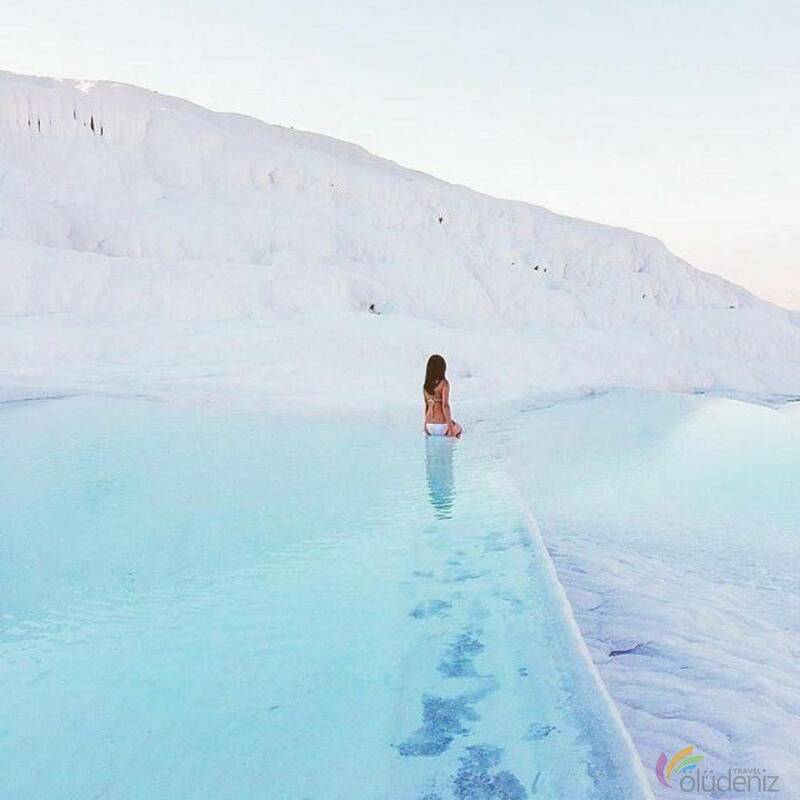 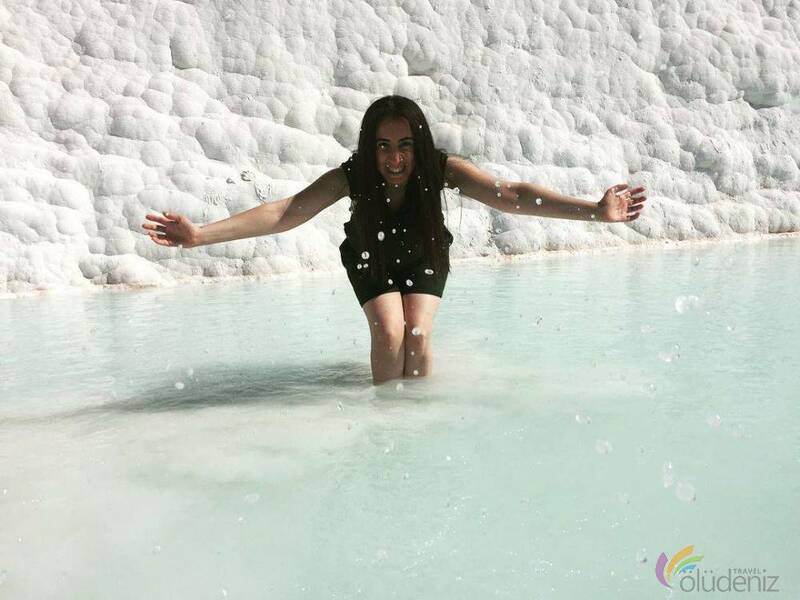 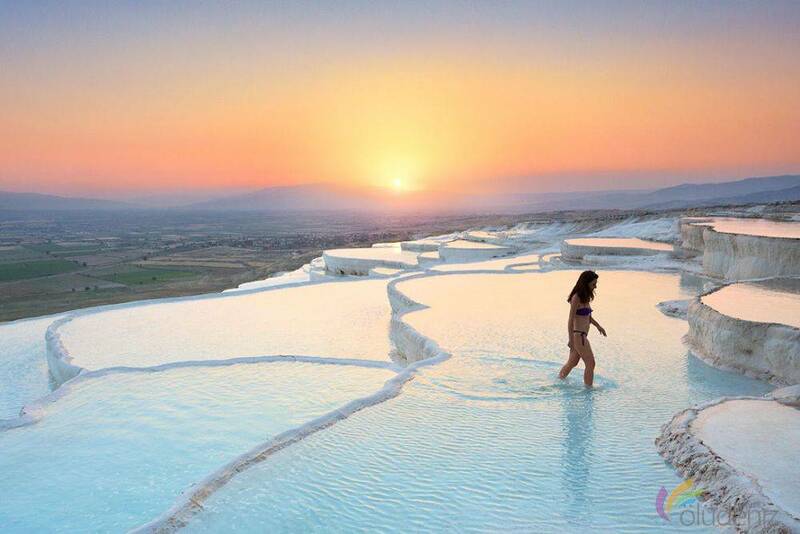 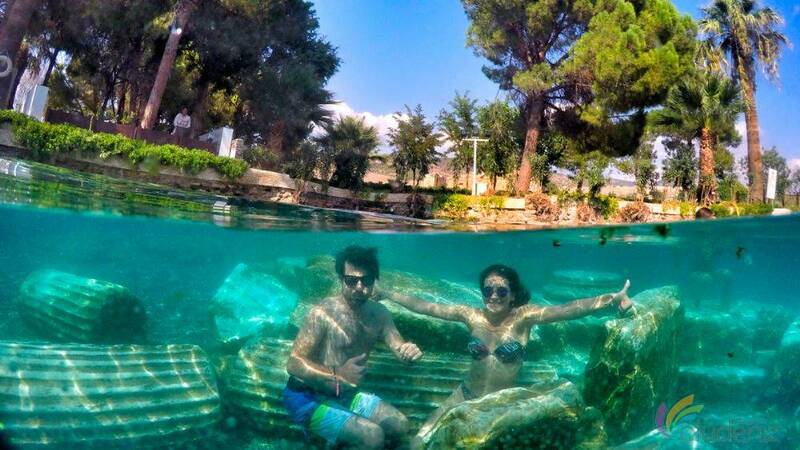 If you take your swimming costumes and bikinis, you will be pleased to swim in the Pamukkale travertens. 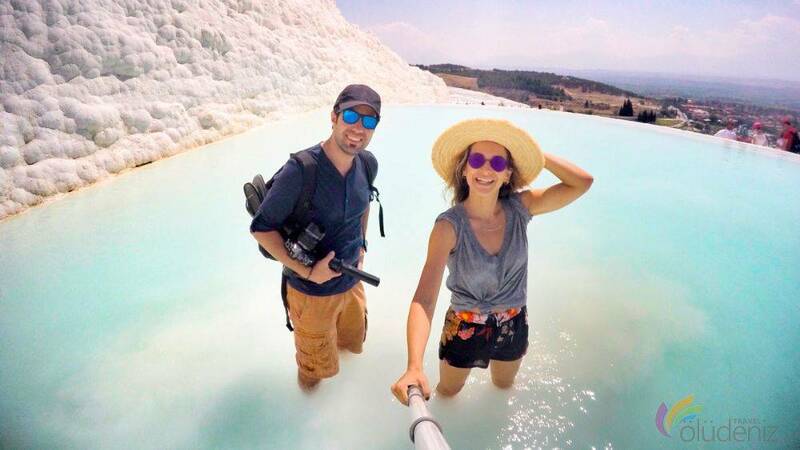 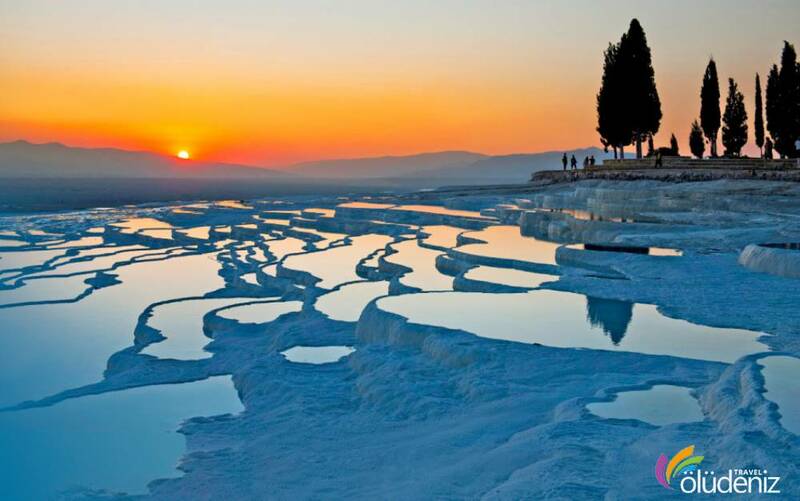 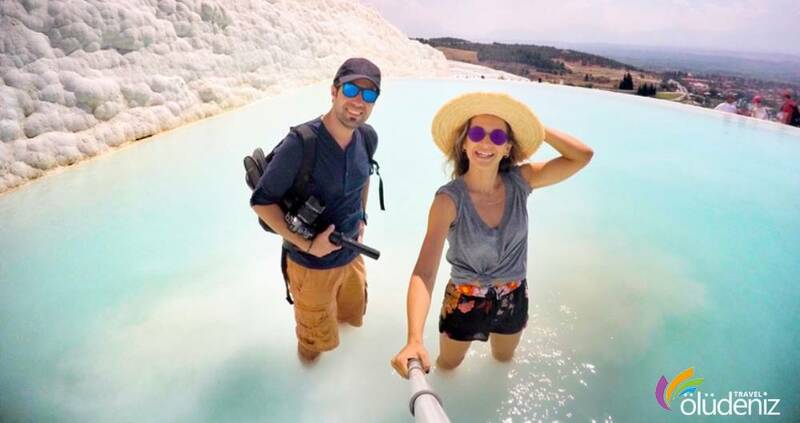 What time will you take us in the morning for Pamukkale tour ? 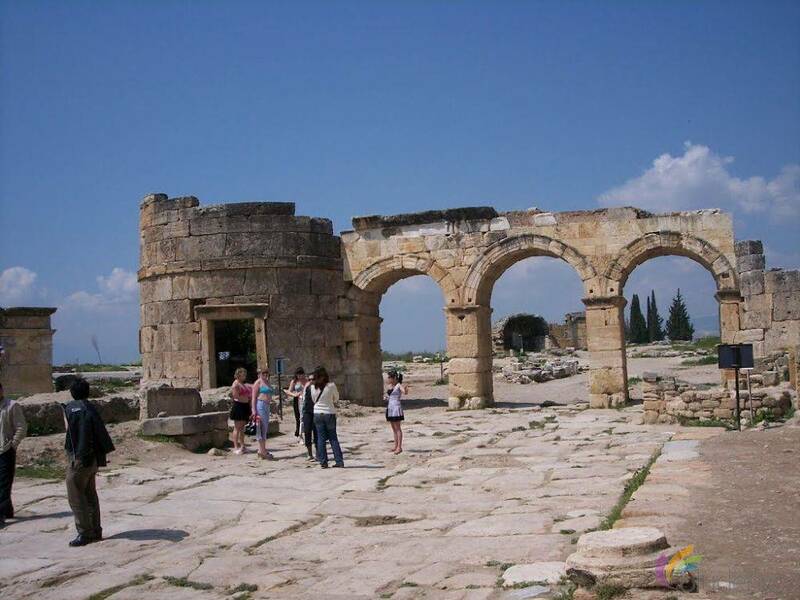 Our vehicles will pick the guests up at 6. a.m. and leave you back to your hotels at 7 p.m. after the tour.